Welcome to Must Read, where we single out the best stories from around the automotive universe and beyond. Today we've got reports from Curbside Classic, Ate Up With Motor, and Hemmings. From the elder, usurped Niedermeyer comes this fun analysis of the impact of the original Subaru wagon. When we reviewed a 1978 model we had nothing but nice things to say about the kind of awkward looks but, this one aesthetic difference of opinion aside, it's a good look at a small car. Talk about a most worthy Curbside Classic:. Not only is the GL/Leone wagon the granddaddy of all modern Subarus, it’s also the progenitor of the whole genre of popular-priced four wheel drive passenger cars. 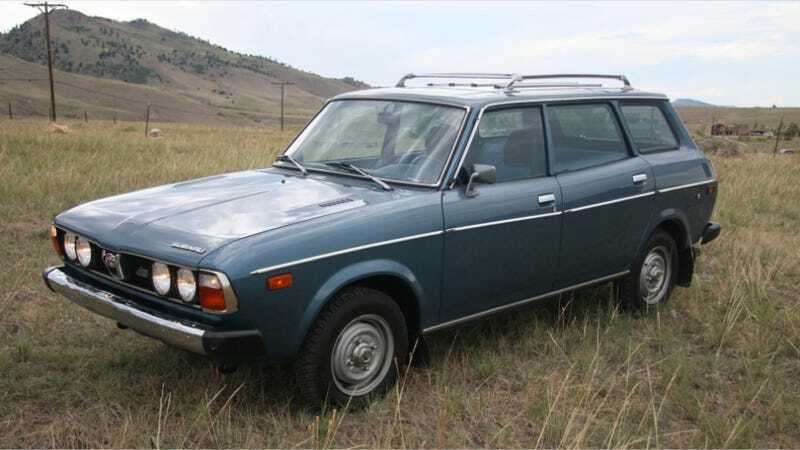 That was once a substantial category: four wheel drive was available on wide variety of sedans and wagons from Honda, Toyota, Nissan, VW, Audi, Volvo and even the lowly Ford Tempo, among others. And since they evolved into today’s CUVs/crossovers, we can rightfully say that this homely little car was the catalyst for an enormous revolution in the passenger car industry, perhaps the most significant one in recent decades. And if that’s not enough, this is a daily driver with over 300k miles on it. Pine along with us for a day when Lincolns were kings of the road. The original Lincoln Zephyr is often overshadowed by its glamorous offspring, the Continental, but remains a milestone car: The sleek, streamlined Zephyr saved Lincoln from extinction during the Depression and marked Ford's first tentative step into the middle market. In this installment of Ate Up With Motor, we look at the Zephyr's origins and evolution. The folks at Hemmings take a look at a two-wheeled racing hero this week. Baker quickly established himself as the man to beat on two wheels, racking up 53 victories and an additional 20 podium finishes in the following years, setting 11 new speed records in the process. In 1912, Indian Motorcycles hired him as a factory-sponsored rider (a job he’d keep until 1924), and Baker went above and beyond the call of duty in keeping the Indian name in the headlines. In 1914, riding for Indian, Baker took part in a cross-country race that spanned 3,379 miles, of which just four were on paved roads (by contrast, 68 miles were run on railroad tracks). Baker completed the run in 11 days, 11 hours and 11 minutes, shattering the previous record by some nine days, and (perhaps more significantly) breaking the automobile cross-country record by four days. This feat prompted a New York newspaper reporter to nickname Baker “Cannon Ball,” after the expedient and unstoppable train run by the Illinois Central Railroad.